Giving potential new customers the opportunity to truly experience what it’s like to own a car, without ever taking it on the road, offers an attractive marketing opportunity for those in the industry. 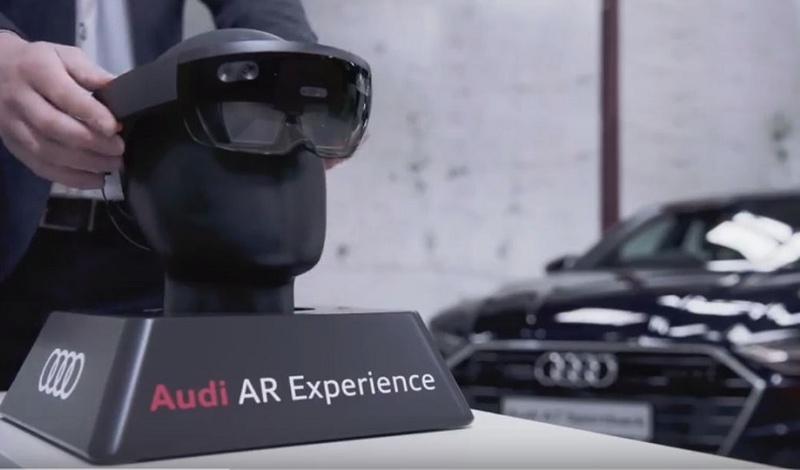 The latest automobile manufacturer to embrace VR and AR technology is Audi Ireland, who announced the arrival of an innovative AR consumer experience set to launch in a number of Irish dealerships. Irish consumers will be the first in the world to have the chance to take part in a fully immersive and interactive AR demo of the new Audi A7. Cutting-edge AR technology, combined with a Microsoft HoloLens headset, gives visitors at the selected dealerships the chance to interact with the latest Audi model and its broad range of features without even taking the car out of the dealership. The ten-minute-long demo is divided into three different components – Exterior Design, Interior and Technology – each giving a different perspective and in-depth view of the new vehicle. Taking the user through the demo, a holographic character named Simone acts as a guide. Bringing the story of the Audi’s design and development to life, the AR demo features holographic graphics, 3D sound and video. The experience allows consumers to visualise the technology they’re buying in to and provides them with an insight into the capabilities of the engine in a way that’s easy to understand. The clever AR technology is a benchmark for Audi globally and is also the first experience of its kind in Ireland. It is currently available in three Audi pilot dealerships; Audi North Dublin, Audi Centre, and Audi Galway with more locations to be considered in the future. 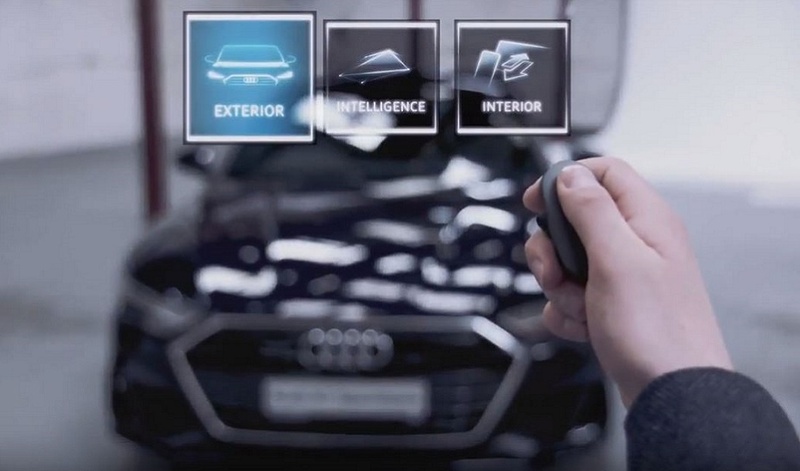 The creative technology is delivered as part of Audi’s ambitions to become the leading customer experiences brand. And this campaign certainly leads the way in introducing a new car in an engaging and highly-informative way. This isn’t the first time a car manufacture has capitalised on virtual reality to enhance a car buyer’s experience. Cadillac launched an immersive VR experience to bring to life the luxury features of its new CT6 car which was rolled out at trade shows across China. And Volkswagen created an arcade-themed VR experience in Australia to build on the brand’s advertising strapline.